One of the most important items when buying a house is the home inspection. But what is involved? How much does it cost? Why is it done in the first place? It’s important to understand what a home inspection entails and how it affects the sale of your home or the purchase of a new one. The more you know, the less likely you are to get ripped off or taken by surprise. First of all, let’s clear up a commonly misunderstood point: a home inspection is not the same as an appraisal. An appraisal is an estimate of a property’s overall market value, even for VA buyers. Most VA buyers always confuse appraisal with the home inspection. A home inspection is much more detailed and practical. It is also not a code inspection and therefore does not report on building code compliance or give a “passing” or “failing” grade. It is defined as an objective visual examination of the structure and systems of a home by an impartial, neutral third party not related to the buyer or seller. In layman’s terms, it shows you what’s wrong with the property you want to buy and if it is serious enough to prevent you from moving forward. The home inspection findings will be presented to the seller for them to fixing the items. In the event the seller will not agree to fix the buyer has the option to void the contract based on the home inspection findings. The three main points of the inspection are to evaluate the physical condition of the home, including structure, construction and mechanical systems; identify items that need to be repaired or replaced; and estimate the remaining useful life of the major systems, equipment, structure, and finishes. Bottom line: a home inspection is to inform the buyer of any readily visible major defects in the mechanical and structural components, and to disclose any significant health or safety issues. 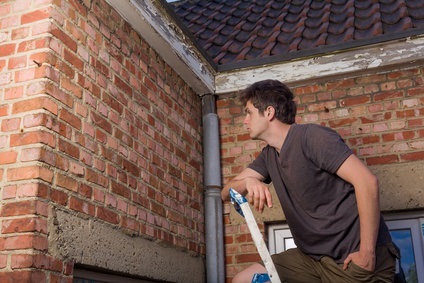 The most crucial items to watch for is structural, plumbing, electrical, and roofing. Should I get a Radon Inspection too? To hire an inspector, get recommendations from your Realtor, or from friends and family. The Claudia S. Nelson team works with some great home inspectors and will be happy to provide their contact information to ou the purchase. You should absolutely be present during the inspection for a couple of reasons: First, you can ask the inspector questions during the inspection. Also, the inspector will have the opportunity to point out areas of potential trouble, which will mean more to you if you see it with your own eyes than read it in the inspector’s report later. Many inspectors also will offer maintenance tips as the inspection progresses. The seller is not required to make any repairs, replacements or maintenance since this is not a code inspection. However, the buyer can use the inspection report as a negotiating tool. For instance, if certain repairs or replacements are made, the buyer might offer to pay more, or if they’re not, the buyer can bid lower. You should always get a home warranty if it hasn't been negotiated previously. A home warranty will protect a home buyer for many surprises.